The New York Islanders insisted one year ago that the rebuilding process was over. Instead, they finished in the bottom five for a fifth straight season. From a 2-0 loss on opening night to a 7-3 defeat at Columbus on the final day of the season, the Islanders never came close to meeting the expectations from management, the coaching staff, and a fan base that hasn't celebrated a Stanley Cup Playoff series victory in 19 years. 1. Will Ryan Strome play in the NHL this season? -- The Isles' top pick from 2011 enjoyed another solid season in the Ontario Hockey League and could be ready for prime time. Strome, however, just turned 19 in July and is unable to play for Bridgeport in the American Hockey League, which means New York or Niagara again this season. It will be a tough call for Isles' brass, who don't want to hinder Strome's development. Expect Strome to receive at least a nine-game tryout with the Islanders before general manager Garth Snow and coach Jack Capuano must decide to keep the talented center or send him back to the junior level. 2. Can Brad Boyes replace PA Parenteau's offense? -- After showing he can be a top-six forward in the NHL, the Isles lost winger PA Parenteau to the Colorado Avalanche via free agency this summer. Parenteau thrived on the top line alongside Matt Moulson and John Tavares, as he tallied 53 points in 2010-11 before upping his total to 67 points this past season. The Isles are hoping Boyes, who signed with the club in July, can fill the void. Although he had just eight goals in 65 games for the Buffalo Sabres in 2011-12, Boyes did score 76 goals over two seasons with the St. Louis Blues from 2007-09. Signed to a one-year, $1 million deal, Boyes has a golden opportunity to regain that form skating with Tavares. 3. Is Josh Bailey a center or a wing? -- For whatever reason, the Isles' top pick from 2008 has been more productive offensively as a winger. It's likely he'll begin this season on the wing, but it's more imperative that he skates alongside players who can help him contribute (Bailey finished with 17 points in his last 19 games as a top-six forward). Training camp will ultimately determine whom Bailey will play with, but don't be surprised to see him with Strome, a talented playmaker who can feed him the puck. That is, of course, pending Strome making the team. 4. Can Mark Streit regain his form? -- The Swiss defenseman missed the entire 2010-11 season because of a shoulder injury during training camp, but returned healthy last season and was named captain in September. However, Streit didn't appear to be the same player he was prior to the injury -- at least in his own end of the ice. While he did manage to tally 47 points in 82 games, Streit finished a minus-27, which was the fourth worst plus/minus rating in the League. 5. Can Rick DiPietro stay healthy? -- Although he still has nine years remaining on his contract, the oft-injured goaltender needs to show Islanders brass he is capable of staying on the ice. While DiPietro came into training camp last season healthy, injuries again limited him to eight appearances. And, even when he did manage to play, he wasn't particularly effective (3.73 goals-against average, .876 save percentage). Evgeni Nabokov enters camp as the Isles' No. 1 goaltender, but DiPietro's status will determine the No. 2. In the end, that also ultimately affects Kevin Poulin and Anders Nilsson, who are undoubtedly going to compete for playing time in New York. 6. 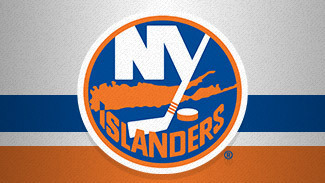 Can the Isles compete in the Atlantic? -- One of the biggest reasons the Isles' chances of qualifying for the Stanley Cup Playoffs are so difficult could be geography. The other four teams in the Atlantic Division (New York Rangers, New Jersey Devils, Philadelphia Flyers and Pittsburgh Penguins) all recorded at least 100 points in the standings last season, while the Isles finished with 79 and went 8-13-3 against division opponents. The Devils, who reached the Stanley Cup Final, did lose captain Zach Parise to the Minnesota Wild via free agency. However, the Rangers, who finished as the top seed and reached the Eastern Conference Finals, added Rick Nash this summer in a trade with the Columbus Blue Jackets, while Pittsburgh should have a healthy Sidney Crosby. It is imperative the Islanders have a solid first half of the season if they plan on ending a five-year playoff drought. Should they stumble again early, the woes will likely continue.